Welcome back to school friends! We know that means you are most likely gathering up pencils, books and backpacks for yourself or your kiddos. Unfortunately, there are some children in Chicago who can’t afford their back to school supplies. This year we are partnering with Jahn Elementary to lend a helping hand! 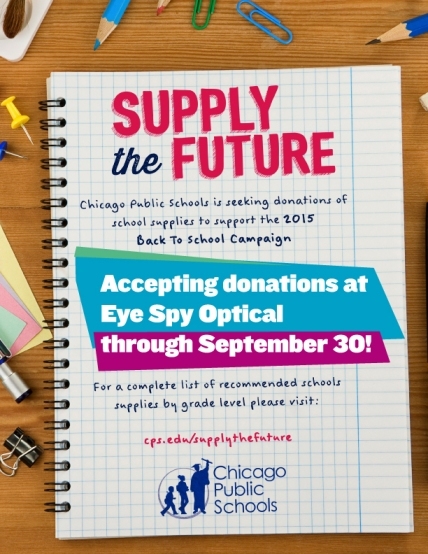 Help us, help them get back to school with the right supplies! 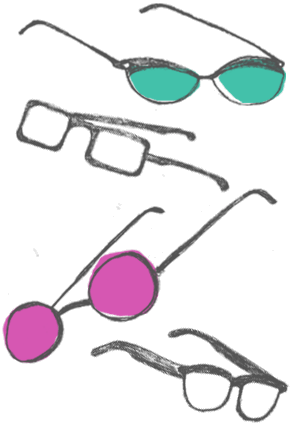 Bring in school supplies during the month of Septemeber and we will give you $25 off your glasses! Let’s all help each other and invest in Chicago’s children and make it just a bit easier for them. If you find yourself wondering what to bring, here’s a list of supplies by grade level! We will be running the drive all month long, so you have plenty of time to help! Francis Klein Trunk Show on Sept 15th!!! !